Hermon Dog Park is located at 5568 Via Marisol, Los Angeles 90042 (between Monterey Road and the Arroyo Seco Parkway/110 Freeway). 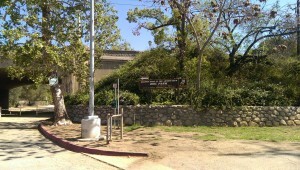 From the 110 (Arroyo Seco Parkway) exit Via Marisol and turn right. Turn left into the Hermon Park driveway and go to the end of the parking lot. Walk under the overpass and you’ve arrived. Hermon Dog Park is open everyday, dawn till dusk. You can also find us on Facebook, Twitter, Instagram and Yelp.